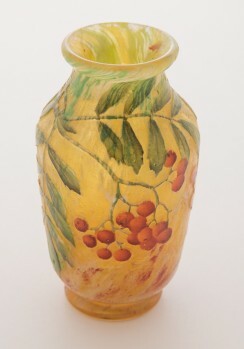 This is a small but very cute Daum Nancy vase. 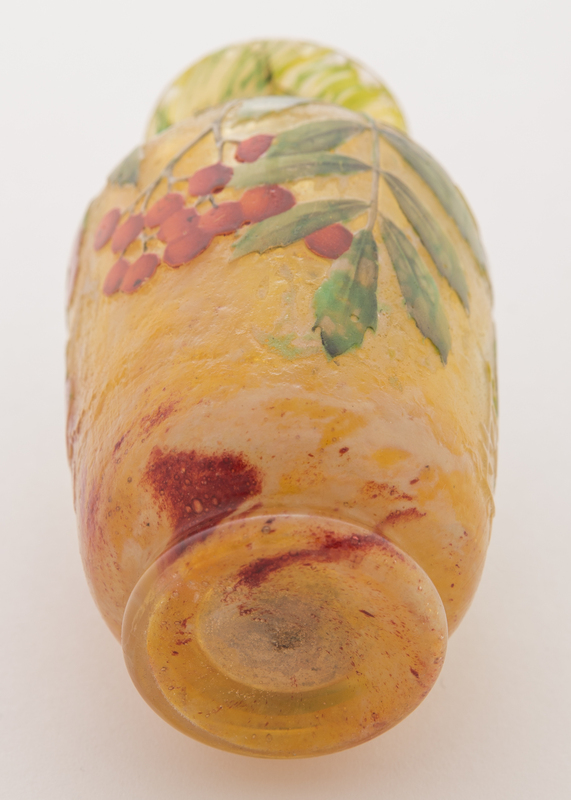 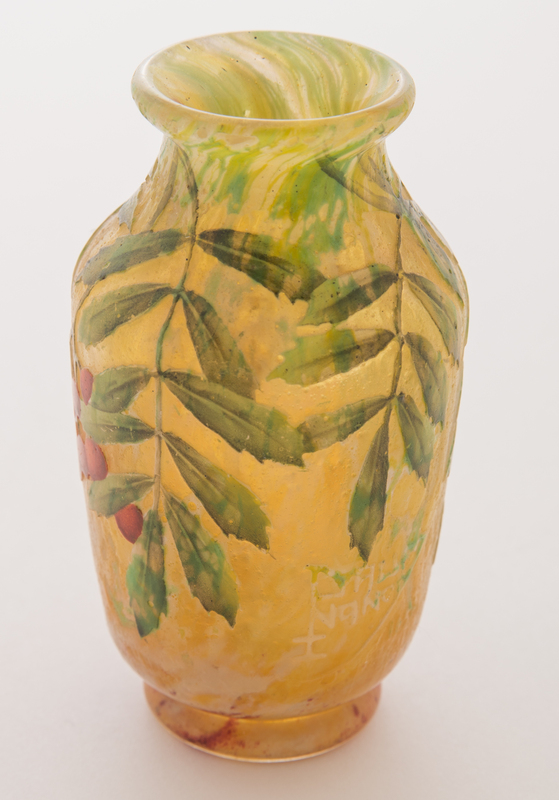 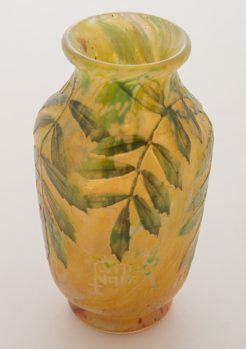 The vase has brilliant green leaves and red berries set against a warm translucent earthen color. It is acid-etched and enameled. 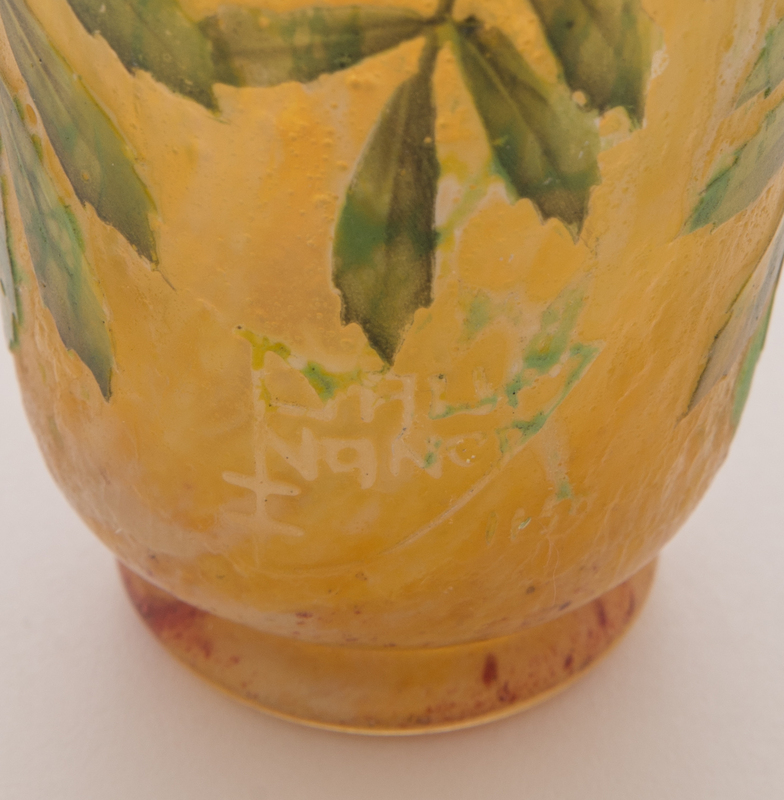 It is signed in cameo on the lower portion of the vase. 3.5 inches tall.